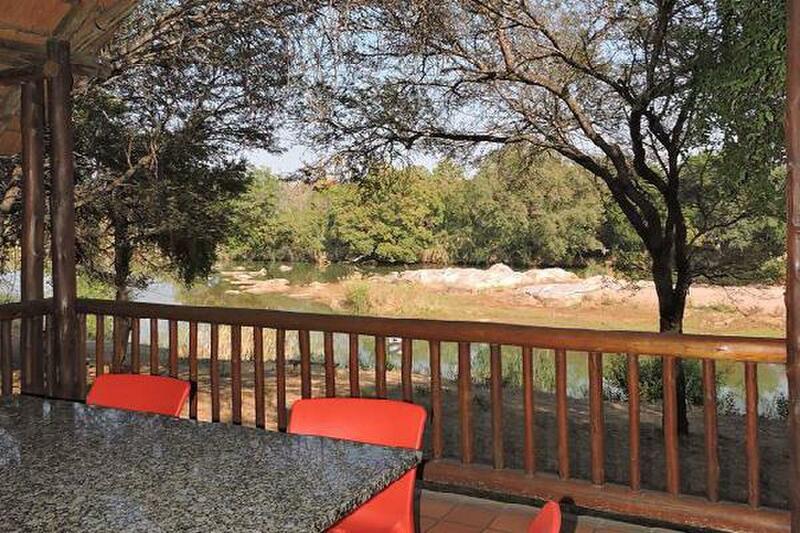 Ekuthuleni Holiday Resort, a stunning bush resort overlooking the mighty Olifants river approximately 25km from Hoedspruit. 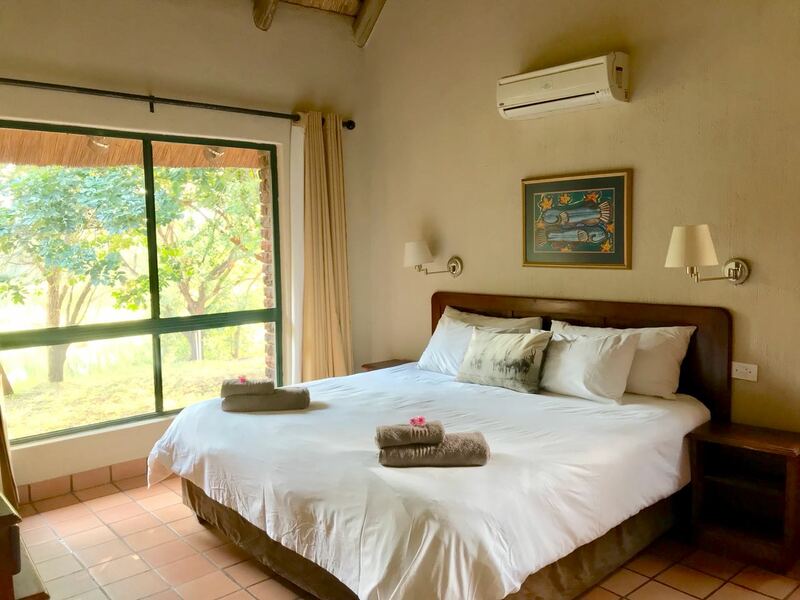 The self-catering chalets and camping sites offer a true bush experience, and because of its location, boasts of excellent birding opportunities. The Phalaborwa and Orpen gates of the Kruger National Park are 55km and 90 km away respectively. 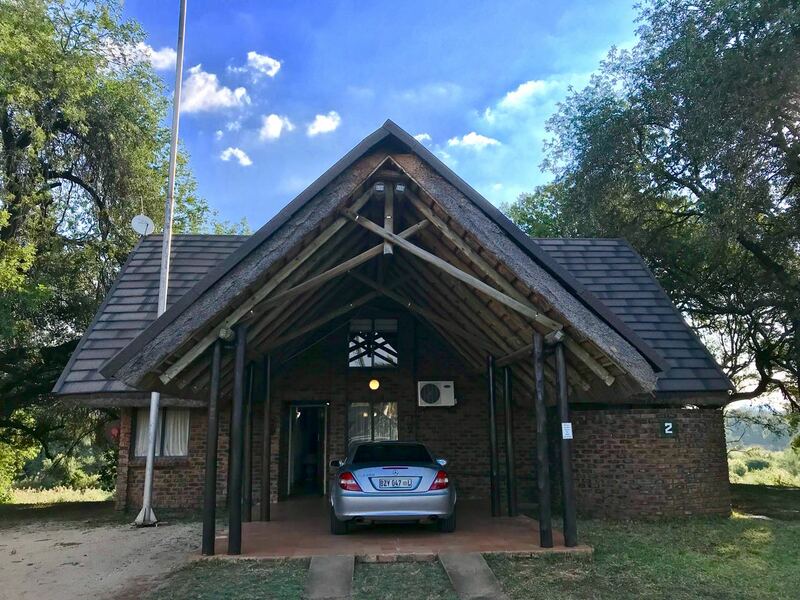 Ekuthuleni is also located within driving distance of Jessica the hippo, Moholoholo Rehabilitation Center, Kinyonga Reptile Centre and many more famous attractions in the area. 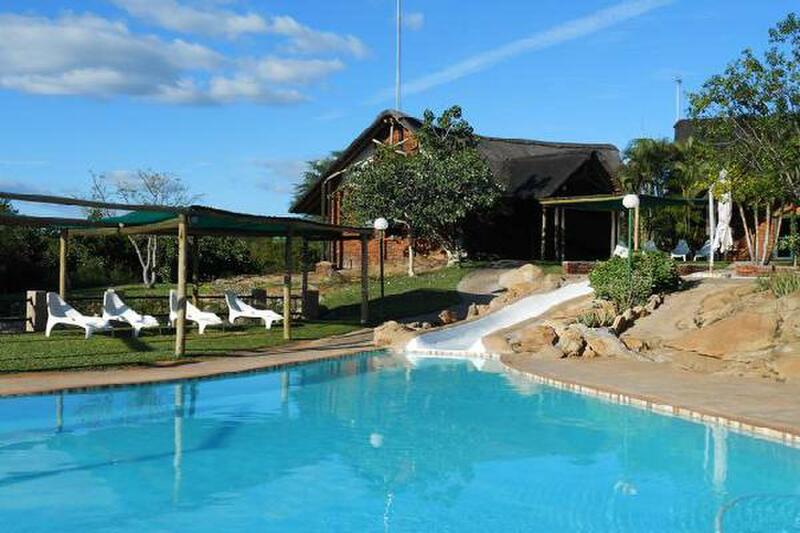 If you want to experience the ‘real’ Africa, then Ekuthuleni Holiday resort is ideal for you. 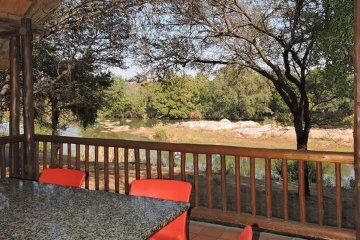 Poised on the Olifants river bank, amid a profusion of wildlife, you couldn’t be closer to nature while still being perfectly safe. Dream to the distant yammering of jackals, and rise to the dawn chorus of the veld. 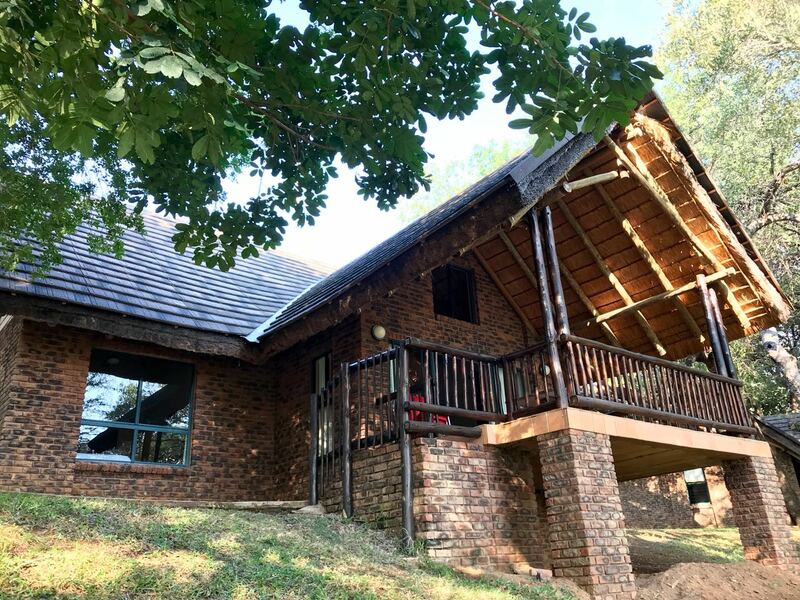 Ekuthuleni Holiday resort has a total of 14 chalets of which 4 is privately owned and available to the public for bookings. 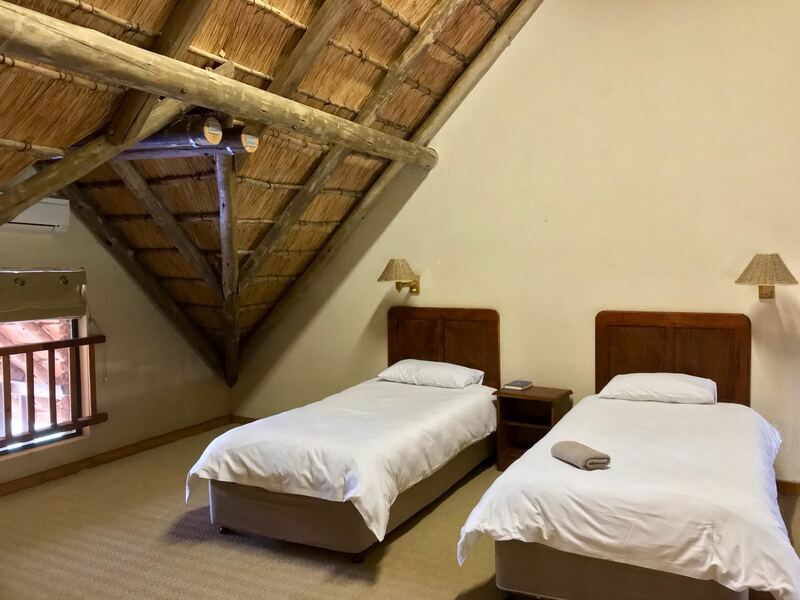 These lovely thatched self-catering chalets can accommodate up to 6 guests and comprises 3 bedrooms, 2 bathrooms, and an open-plan kitchen, dining and lounge area. The first bedroom contains a King size bed, air-conditioning, a ceiling fan, and an en-suite bathroom with a bath, basin and toilet. 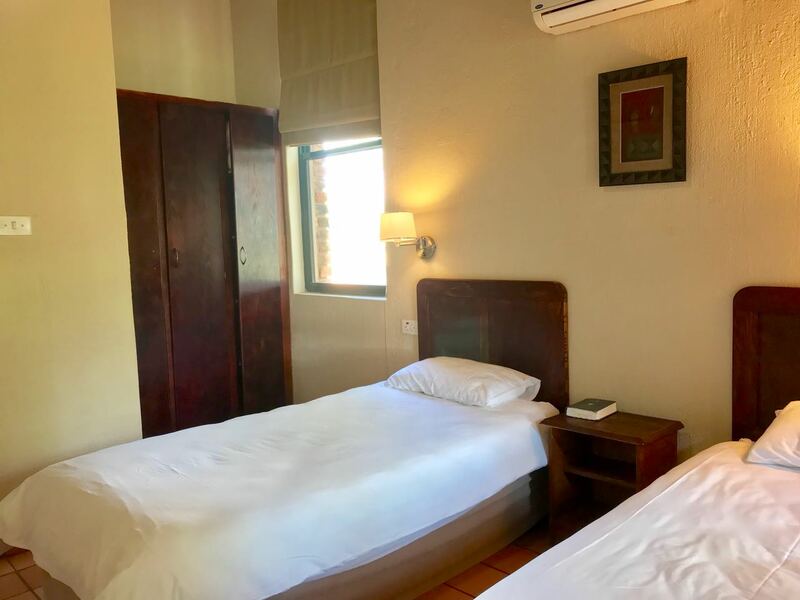 The second bedroom contains 2 single beds and air-conditioning. The third bedroom is an upstairs loft containing 2 single beds. The second and third bedroom share a bathroom with a shower, basin and toilet. 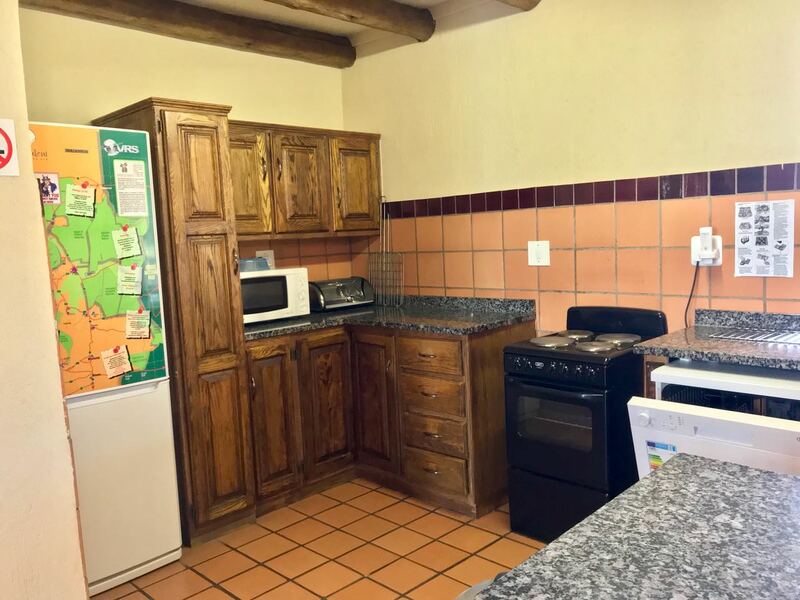 The kitchen is fully equipped for self-catering with a stove and oven, fridge-freezer, microwave, and cutlery and crockery. 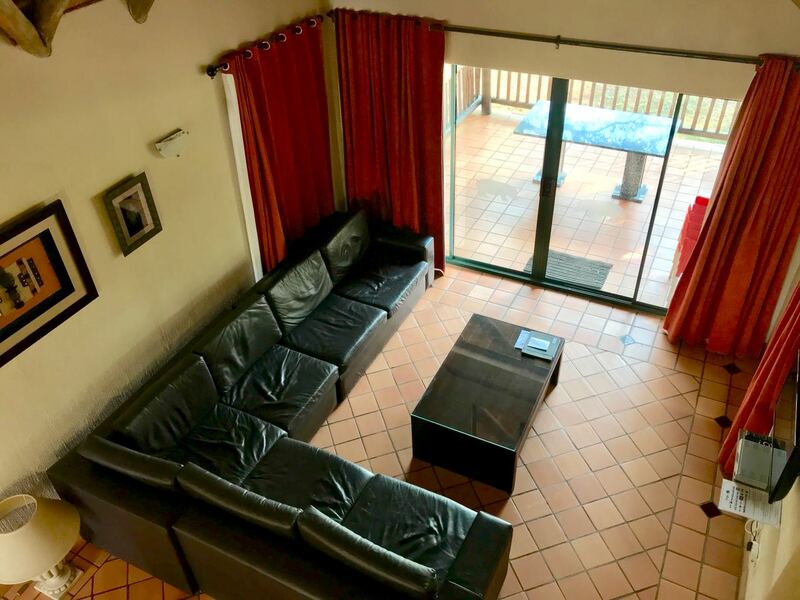 The dining room contains a 6-seater dining table and chairs. The lounge area contains a flat-screen TV with selected DSTV channels. 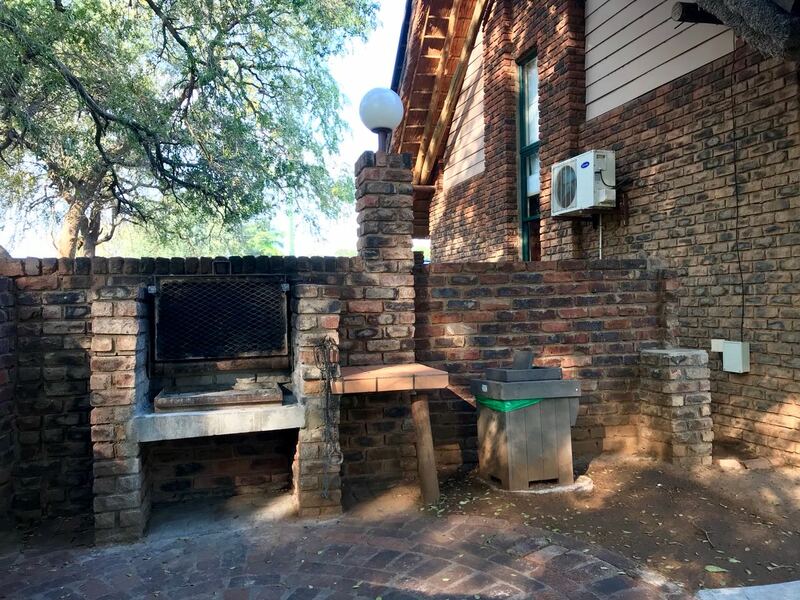 The lounge opens to a covered patio with outdoor dining furniture and braai facilities. A covered parking space for one vehicle is provided. 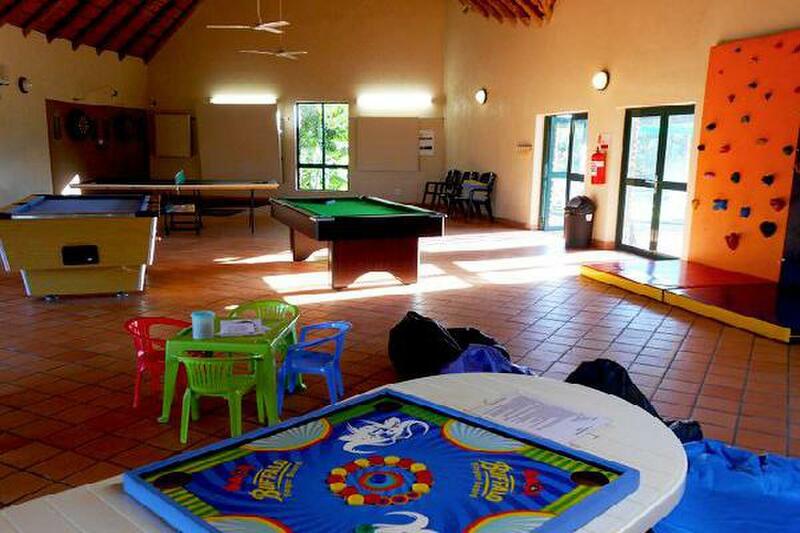 The Chalet is serviced daily except on Sundays and Public holidays. 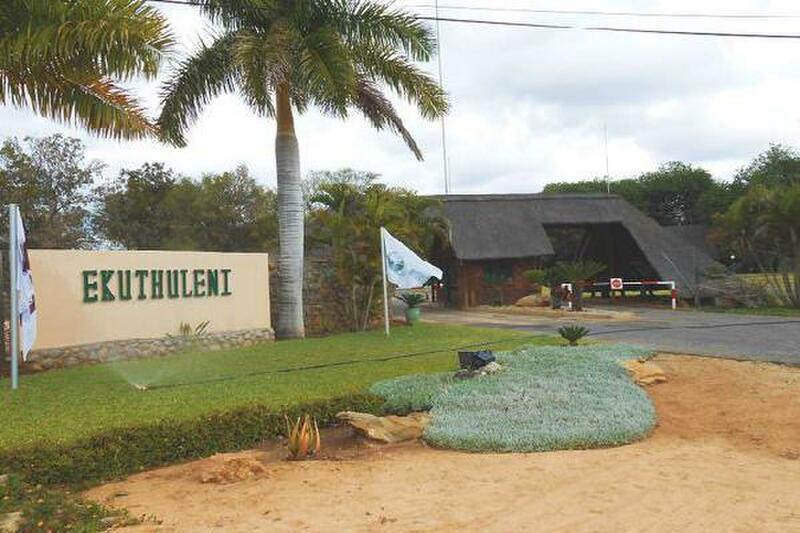 Ekuthuleni Holiday resort has a total of 7 camping sites. Camping sites are equipped with electricity points. 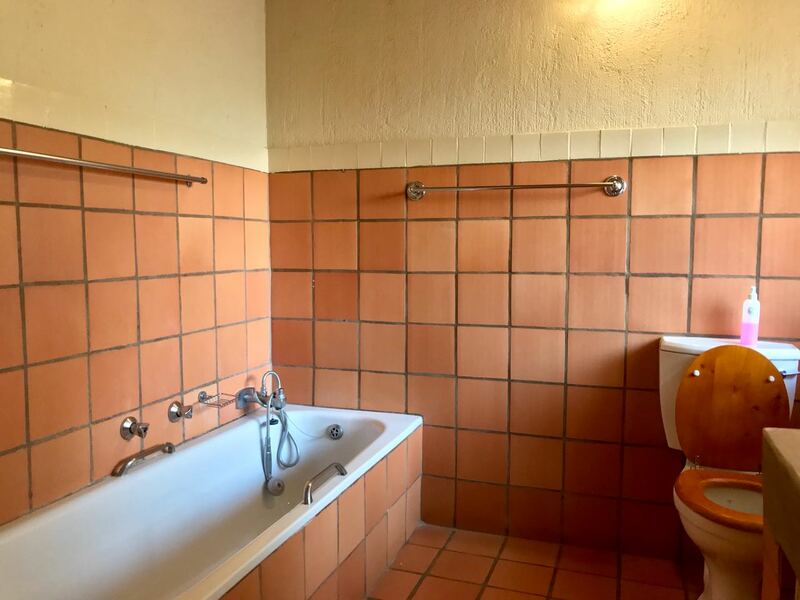 Ablution facilities are with with both shower and baths. As outdoor lighting in the campsite is limited, a torch/headlamp is required when walking outside at night.